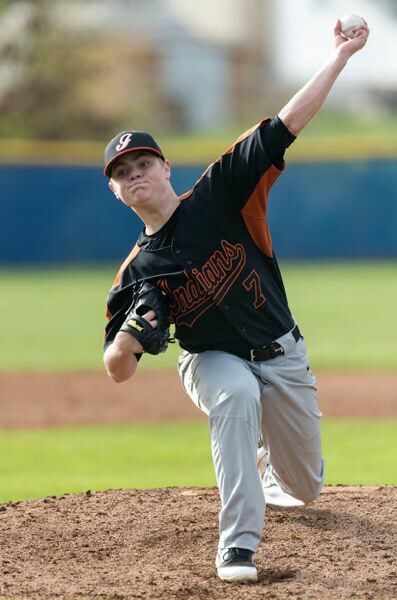 Baseball coach Cameron Webb admits that at first glance the scores — 10-0, 11-1, 10-0 in favor of the opposition — probably tell one story about his Scappoose Indians' first three games of a four-game, spring-break trip to Crater. "From the outside, the scores look really bad," Webb said of losses by 10 runs on Monday to West Salem, by 10 on Wednesday to Wilson (11-1) and by 10 on Wednesday to Crater. He is reading other things between the line scores, however. "We still have a lot of reason for optimism," he said. Webb's comments came Wednesday night and with one game left (Thursday versus Grants Pass). "We're doing the hard part (of the schedule) already," Webb said of the 2019 Indians season. "Our pitching has been really strong in every game. And in at least two of the losses, we outhit the other team. "We've been getting a lot of base runners. We've just had a lot of mishaps and mistakes. "I don't know that there's been a game where we've given up more than three or four earned runs, so those are things I think we can figure out with more work. "Our pitchers are throwing strikes and giving us a chance to compete, and our lineup is producing hits. The scores might not show it, but I think there's reason for hope." And there's something else the first-year Scappoose coach said he likes. "The other team element is the chemistry, and we're in a really good spot in that area," he said. "We've had a lot of team-building activities (on the Crater trip). The guys obviously don't like losing, but they've been sticking together really well. "We knew it was going to be really challenging. The expectation was not to win every one of these games. "I don't see any reason why what we've done here won't help us down the road." Another thing to look forward to is the anticipated return of junior Logan Travis, one of the team's top pitchers. Travis, who also plays in the outfield, hopefully will be back in the lineup by the start of the league season after recovering from a hip injury, Webb said. Even in his absence, the Indians have had some good mound work, Webb said. Breeler Mann, a senior, came back from a sprained ankle to pitch nearly all the way against West Salem. Senior Brendyn Nollette finished that game with a late-stages stint. Senior Liam McMullen started and went deep into the Wilson game, with senior Jordan Buchanan tossing the last inning. Then it was junior Ben Anicker take the hill for the Crater game, with senior Terrence Jones in relief. The scheduled starter for the Grants Pass game was junior Jake Bernhard. After their return from the Crater Spring Break Invitational, the Indians will get one more nonleague test — Wednesday at Crescent Valley — before opening the Northwest Oregon Conference campaign. For NWOC starters, the Indians have drawn Putnam. A three-game series with the Kingsmen begins at Scappoose on Tuesday, April 9, with first pitch set for 5 p.m.